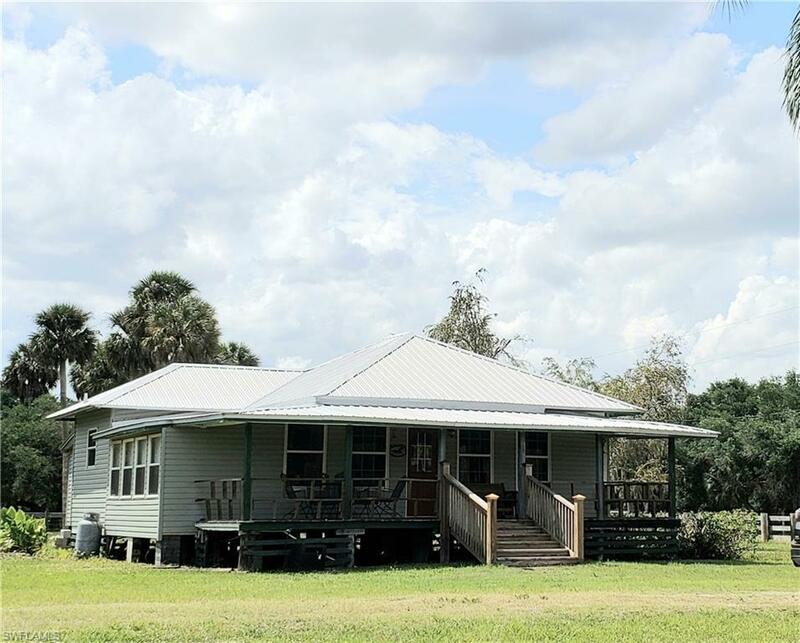 A Rare Gem is located in the heart of Glades Co, on desirable Wayman Rd! This jewel sits on 10 +/- fenced acres & can be split for an added home site. Originally built in 1906 this Florida Cracker House was recently remodeled with upgrades that include vinyl siding, water treatment system, a Galvalume roof and central heat and air. With over 1600 square feet of total space the inviting front porch is sure to add comfort to your quite country living. With 3 bedroom, 1 bath this home offers wood flooring in all high traffic areas, formal dining, nice size kitchen and a spacious laundry room. Outdoor features include a covered front porch, fenced yard, a 36X48 steel building with an overhead roll up door, work space area with work bench, both 110 and 220 power available. Country charm at it's best with beautiful views that overlook a fenced pasture with scattered oaks endless possibilities... Make your appointment today!